Even as evidence piles up that the “war on drugs” has been a failure, state and federal authorities continue to pursue serious charges against those caught possessing, distributing or manufacturing controlled substances. 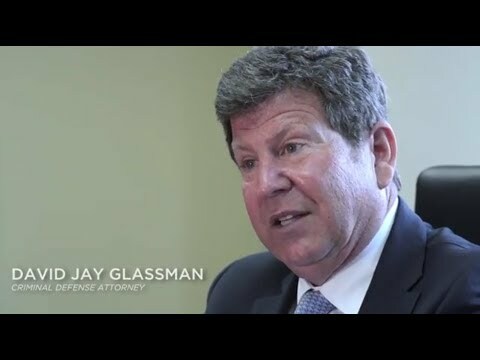 The New Jersey criminal defense team at the Law Office of David Jay Glassman has more than 35 years of experience fighting drug charges in state and federal court. We take drug possession and trafficking cases extremely seriously and do everything possible to build you a strong defense. Our legal team serves all of New Jersey from our offices in Hackensack, Newark, New Brunswick, and Marlton. Which controlled substances lead to criminal charges? Whether your charges stem from the illegal use or possession of prescription medications or other drugs, we work to keep you out of prison. Possession. Many substances are illegal to possess. Others cannot be possessed without a prescription. There may be different charges based on the amount of drugs said to be in your possession and different penalties for different substances. If drugs are found near you, you may be charged with “constructive possession,” even if the drugs weren’t yours. Distribution. Crimes related to drug distribution are based on either evidence of actual distribution or a claim that you intended to distribute the drug based on the amount you possessed, your behavior, or the possession of other items. Distribution charges include selling and intent to sell. When larger amounts are involved, you can be charged with drug trafficking. Drug trafficking charges often result in federal involvement, especially when importation is involved. Production. The creation or cultivation of most controlled substances is illegal. This includes growing marijuana or making methamphetamines. Conspiracy. Federal charges are often based on acts other than possession such as the conspiracy to possess or distribute narcotics. Drug charges are serious even when they are for something as minor as possessing paraphernalia. We understand the devastating impact a conviction can have on your life, so our legal team takes your charges as seriously as you do. Something as simple as a marijuana possession charge can ruin your career prospects. It is essential that you hire an experienced attorney like the New Jersey criminal defense lawyer at the Law Office of David Jay Glassman. For a free initial consultation with an experienced criminal attorney, call us at 866-221-1270 or contact us online. We have offices conveniently located in Marlton, New Brunswick, Hackensack and Newark to serve all of New Jersey.